Today I'm featuring an upcycled frame project that uses product from Little Yellow Bicycle's Canvas Naturals collection. These pieces can be inked or misted with any color you'd like. For this project though, I wanted a neutral, understated look, so I chose to keep everything white. I found this distressed black frame at Hobby Lobby. Rather than put a photo in it, I adhered burlap to a piece of thin chipboard and put that in place of a photo. The monogram was a plain wood piece, also from Hobby Lobby. A bit of white primer over the wood, then a layer of black paint and some sanding created a look similar to the distressed look of the frame itself. 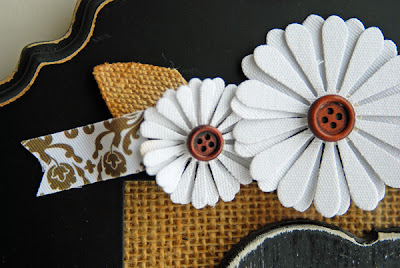 To embellish the frame, I clustered a trio of canvas daisy Naturals at the top (one large, two small) and then cut short lengths of Naturals canvas tape into a banner shape. I like how the banners add interest and extend the eye beyond the flowers. 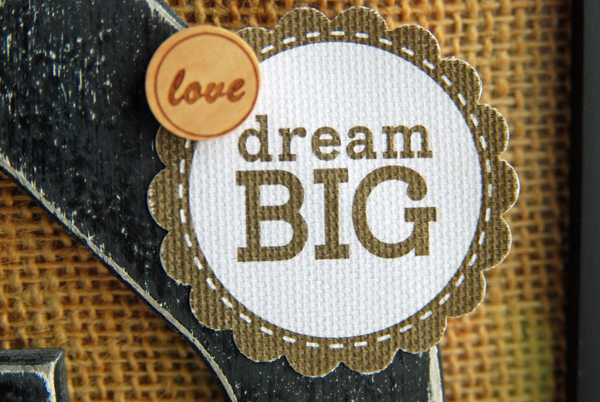 The embellishment cluster on the monogram was created with a Naturals canvas sticker label ("dream big") and the top of a wooden Naturals stick pin (I pulled the wood accent off of the pin). The bottom of the frame features one of the words and the brackets from the Naturals Canvas Words - Style 1 package. 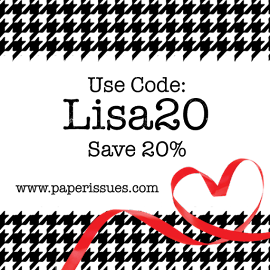 There are many different canvas products available in the Naturals line, everything from shapes, to flowers, to label stickers, to tape and more. Something for everyone. :) I hope you give them a try. They are a lot of fun to work with and, as I mentioned earlier, easily colored to match whatever project you're working on. Lisa, this is such a GREAT project! 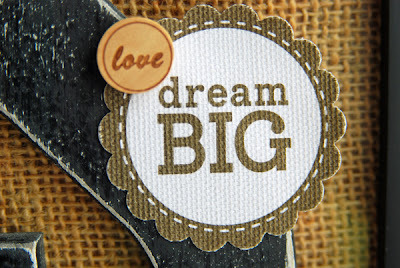 I LOVE it and I pinned it. love the textures!! Wowwwwwwwwwwwww! This is gorgeous!!! LOVING the burlap and the flowers!! This turned out really great. A beautiful decor piece, Lisa. I love the way you painted and distressed the monogram to echo the frame. This is fabulous, Lisa! Love the black with the burlap. OMG - this is so cool. Love it!! Really beautiful. This is great! I love all the neutrals and love that little stamped vellum piece! Simply Adorable. Fantastic upcycled project! OOOOOO I totally love it. What a awesome project. This might be my most favorite project you have done, LOVE the black with the soft neutral colors. What a beautiful piece! Just lovely, Lisa! So awesome Lisa!I love the black and burlap together! so pretty Lisa~love the natural line!!! Oh this is cute, thanks for sharing on the Two Peas forum! 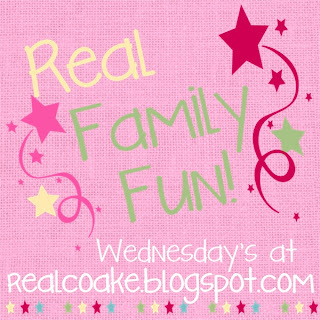 I've been enjoying catching up on your blog posts. This home decor piece is beautiful. It makes a big impact, and it has an elegant feel to it. Great frame. I like these naturals pieces either as is or with color. This is an amazing project Lisa!! 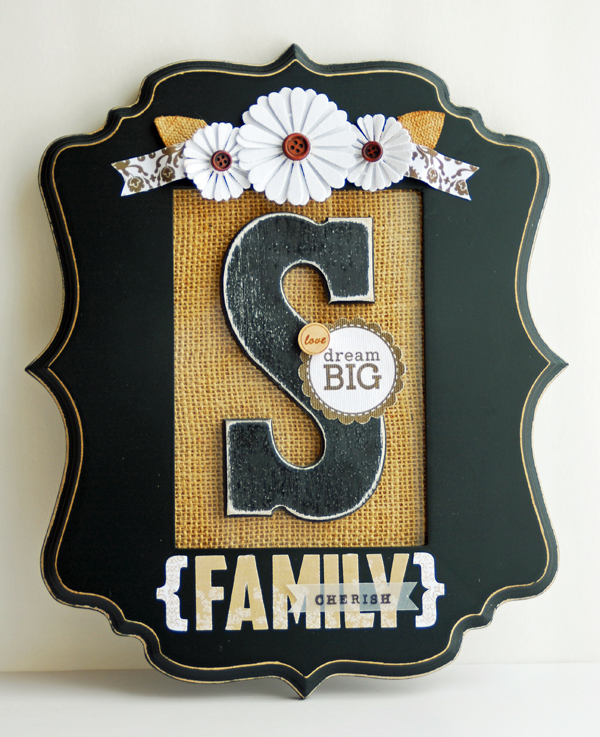 Love the burlap combined with the Black frame and such a great use of the Naturals collection! So gorgeous!! I love the neutrals so striking! 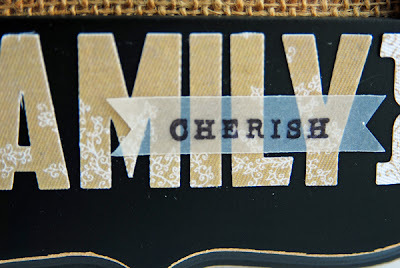 I really like how the word Cherish is on the velum so it doesn't distract from the word Family. So pretty! I love the frame and all the details. It looks fantastic. This is wonderful. Love the burlap and the frame around it...great design!